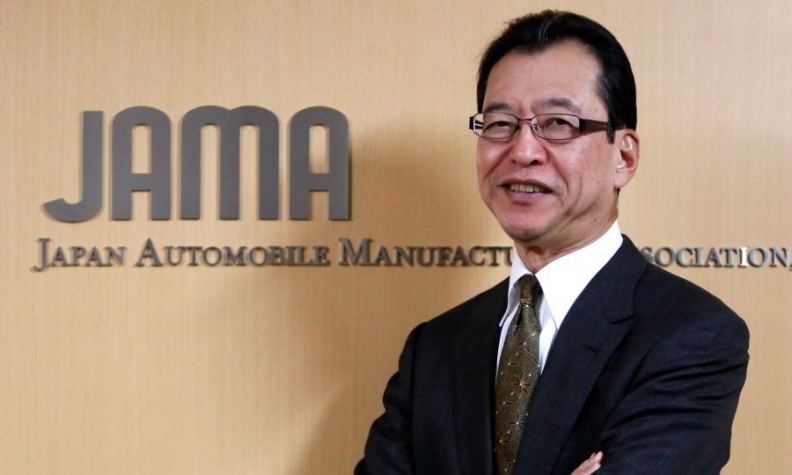 Fumihiko Ike: "This one company's deeds has damaged trust in the auto industry." TOKYO (Bloomberg) -- Volkswagen AG compromised consumer trust in the auto industry by equipping its diesel engines with software that cheated emissions tests, the chairman of Japan’s car manufacturers’ trade group said. Ike, who said he was expressing his personal views, delivered the rebuke of Volkswagen’s actions as regulators worldwide revisit their supervision of auto emissions, with particular scrutiny directed toward cars that run on diesel fuel. Japan is considering changing the method it uses to test the engines and has asked carmakers including Toyota Motor Corp., Mazda Motor Corp. and Volkswagen to submit reports on whether their vehicles meet the country’s emission norms. VW has admitted to outfitting as many as 11 million diesel cars with software that detected when the vehicles were being tested and altered the engine performance so it would pass. In normal driving, the cars pollute 10 times to 40 times more than legal limits in the U.S., according to the EPA.